Manchester United have announced their return to Vietnam to host the country’s third live fan event in March. The fan-focused ILOVEUNITED event will take place on March 4 at the Hoa Lu Stadium in HCM City and will be attended by club ambassador Denis Irwin and club legend David May. Throughout the day, the legends will meet fans and sample local culture in the lead-up to a live match screening of Manchester United versus Bournemouth. Irwin and May will take part in a Q&A section to share personal anecdotes from their time at the club prior to the game. They will also give pre- and post-match analysis. "Our Vietnamese fans are some of the club’s most passionate and loyal supporters. We always receive a warm welcome and great response to any event we host in the country and I am sure this will be no different,” Manchester United’s group managing director, Richard Arnold said on the club’s website. "ILOVEUNITED is our way of thanking fans for their continued dedication to the club by bringing a small piece of the excitement and atmosphere of Old Trafford to their home city." There will be entertainment, giveaways and competitions courtesy of the club’s commercial partners during the event. Fans are also encouraged to test their skills in an exhilarating game of Bubble Football, created by the club’s global noodle partner, Nissin. The competition will see teams of three players battling it out against each other inside a giant inflatable bubble. The overall winning team will take away an all-expenses paid trip to Old Trafford to see a Manchester United home game. Interested fans can find more information or register their teams at www.manutd.com/Nissinbubblefootball. 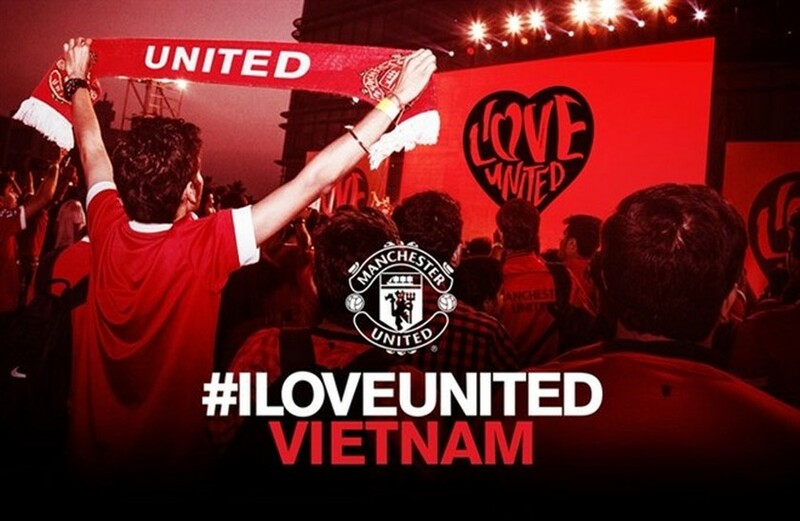 ILOVEUNITED Vietnam is free and fans can apply online for tickets on www.manutd.com/iloveunitedvietnam March 1. Successful applicants will be notified by email within two days.